There are some things we need to talk about. Like, why the heck Lupita Nyong’o is even allowed on a red carpet after the downhill (mud)slide that has been her awards season? Yeah, yeah, she’s such a talented actress for getting 12 Years a Slave, right after graduation and she dropped my jaw with that red Ralph cape. But, guys, then she did Taken on a Plane (or whatever Liam’s new movie was called) and then she delivered a steady stream of edgy (read: horrible) looks on every single red carpet that followed. 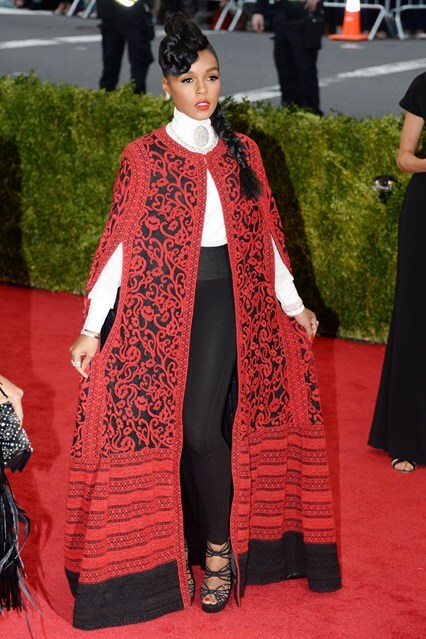 Now, we have her Met Ball appearance. Sigh. Here’s the thing, friends. I understand that The Met Ball is a place to take what inspires you, and wear it. I understand it’s an arena for edgy, haute couture, avant garde ideas translated into fashion. What I don’t (and refuse to) believe is that anything goes. In fact, most of these can go back home, and change. Especially Anne Hathaway, who I think always needs a good rethink on her looks. Or, at least a new stylist. She “looks like she wore the red carpet,” according to my fashion savvy friend Megan, which I agree with, assuming the red carpet is too tight and made to sell at 5-7-9. You’d think she would be a stealth walker, being so close to Rachel Zoe and everything, but I got nothing to defend her with… ever. Now, Katie Holmes. WHAT THE HELL, HOLMES?! Is this the boudoir version of Snow White? Or the bad bridesmaid dress? …I just can’t. 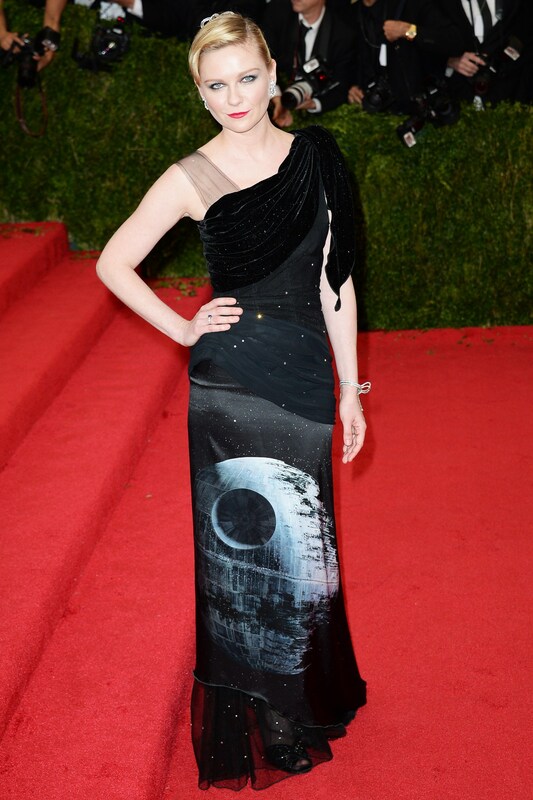 Okay, here’s a great example of when actresses take the whole “art” theme a little too far. Hey KD, I don’t think you were supposed to pull your wall posters down. Nobody solves that problem like Maria, so leave her to it. Biggest disappointments? After a truly glam Entertainment Weekly cover, Miss Shailene decides to whip this season-confused garb out of some Junkman’s Daughter’s Closet. Or, maybe she forgot to pack something, so she sewed some stuff together from her suitcase. I’d believe either. Now. Can we get on with real life? You know (try and remember), when celebrities used to be the epitome of fashion? When we’d cut out the silhouette for our party going inspiration, take their looks to our hairdresser to recreate? Here’s a toast to those still earning their paychecks, off the set. See more of the good ones (and the terrible ones) HERE.